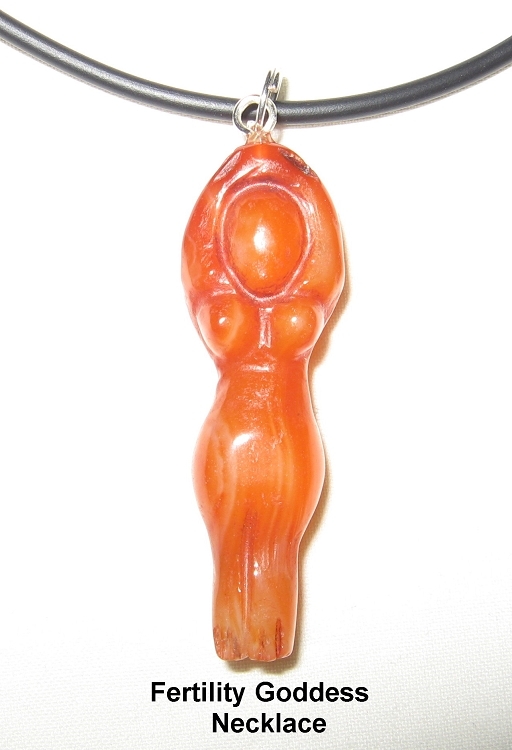 Wear this Fertility Goddess pendant made of red agate to increase your odds of getting pregnant and having a successful pregnancy. 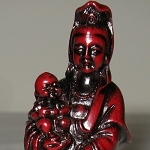 Red agate is known as the pregnancy stone. 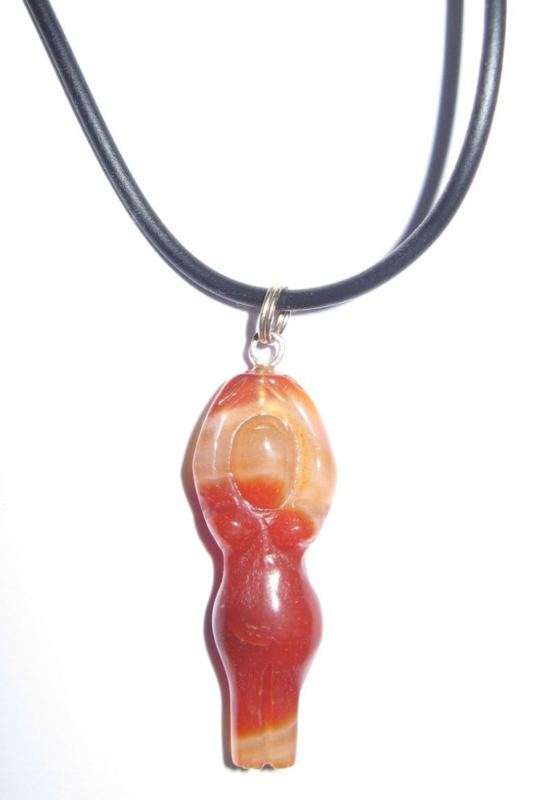 Red agate is a rust colored striped semi precious stone that is believed to ease childbirth, strengthen, calm and heal both body and mind, and protect both mother and child. 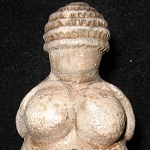 Fertility Goddesses have been used to bring children into families and increase fertility for thousands of years. This modern representation of the Nile Fertility Goddess has her arms raised to symbolize the continuance of generations and her shape represents birth. 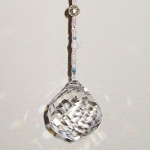 The Fertility Goddess pendant is approximately 1 1/2 inches high, Fertility Goddess Necklace is approximately 18 inches long and has a clasp. 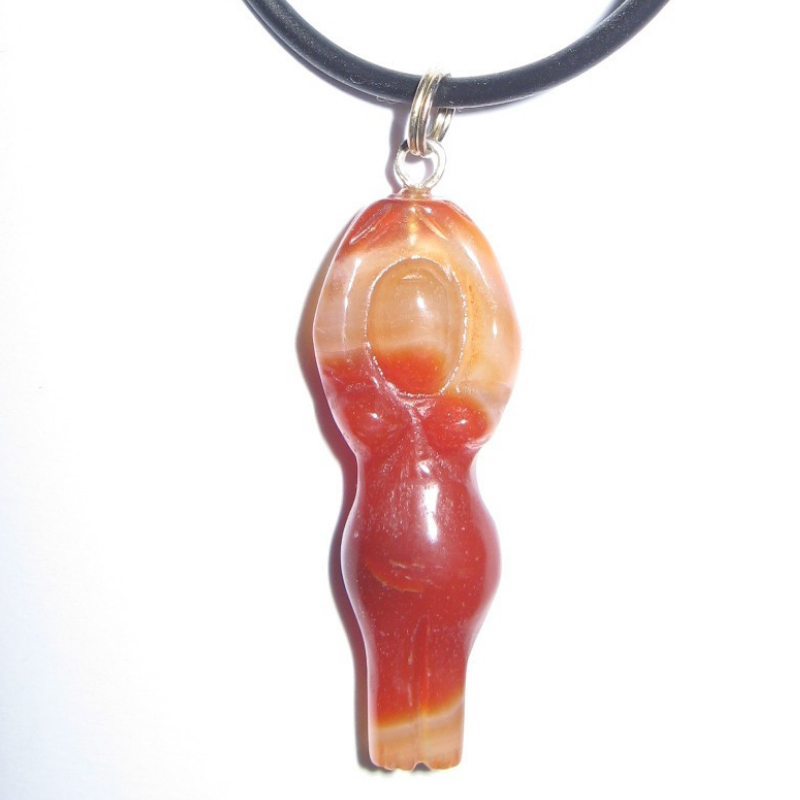 The red agate Fertility Goddess pendant has been energetically cleansed and programmed to amplify the powerful energy and Feng Shui properties of the gemstone.